You must make reservations at least 5 minutes in advance of the time at The Tavern. Between Cook St. & Lake St. The restaurant faces Milwaukee Ave., but entry is from the municipal parking lot behind the building. Access to the lot is on the north side of Cook Ave., west of Milwaukee. Reservations are for the Formal Steakhouse Dining (upstairs), the Cocktail lounge is first-come, first-served. 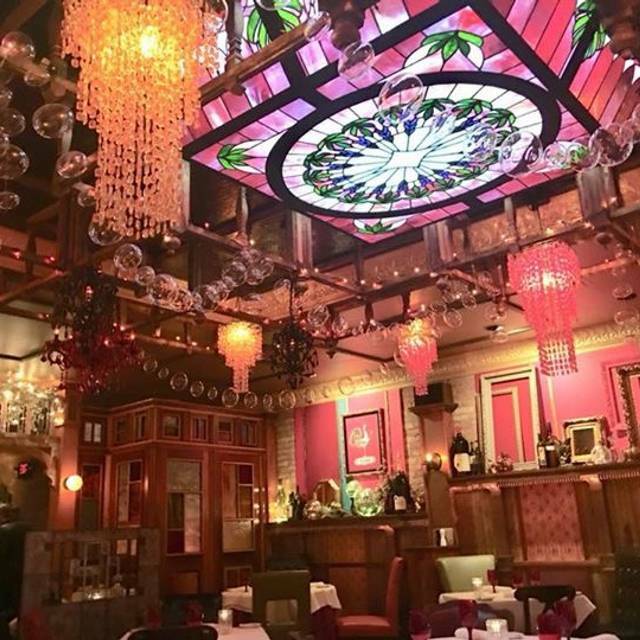 From hanging glass beads to architectural artifacts and an original Brunswick bar painted in gold and turquoise, this is clearly not your father's steakhouse. The Tavern's menu features USDA prime beef, Australian Wagyu, organically raised Uruguayan beef, and organic free-range chicken, diver-caught Maine sea scallops, assorted fresh fish, cold water Rock Lobster Tails, and in season: oysters from both coasts, the Alaskan king salmon run, live Maryland soft shell crabs, morels, chanterelles, and porcini from hunters in Oregon and Washington, and fresh produce from local county farms. An award-winning wine list featuring over 1,200 selections, a great wine by the glass assortment, and an unusually well-stocked bar round out the Tavern's beverage program. We decided to try this restaurant for anniversary. The food was fabulous. Ambience was excellent. Service was by far the best we have received in a long time! Definitely ask for Jenny- fabulous server!! Excellent, attentive service. Food was delicious and a great value. I highly recommend the surf & turf. 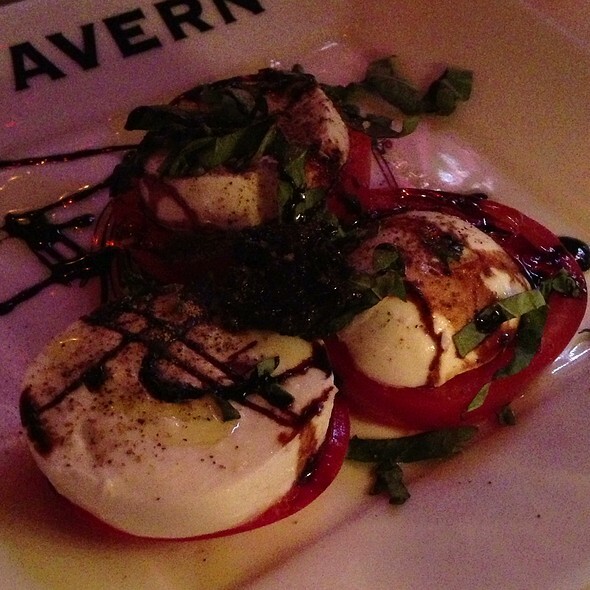 We love The Tavern, have had countless wonderful dining experiences, and have brought many friends with us. The food, service and ambience are always superlative. Never have we encountered the raucous, invasive noise level inflicted on us last Wednesday, 4/10, by a table of incredibly rude young men that were so obnoxiously loud that we were unable to visit with our guests, who had traveled up to Libertyville from Chicago for what we had promised them would be a most enjoyable evening of fine dining and conversation. They have no desire to return to what has always been our favorite go to place for special occasions. I regret that the management did not encourage this party to take their bar room behavior downstairs to the bar, where perhaps their intrusive behavior would have still been obnoxious, but perhaps more appropriate to a bar. That being said, Kudos to our very sweet and efficient waitress and the other waitstaff, and of course, to the chef. We started dining here because of Check Please! Since then, we have been here at least twice a year every year. We have brought many friends here who also have loved the food everyone always treated her like the Queen!!!!! 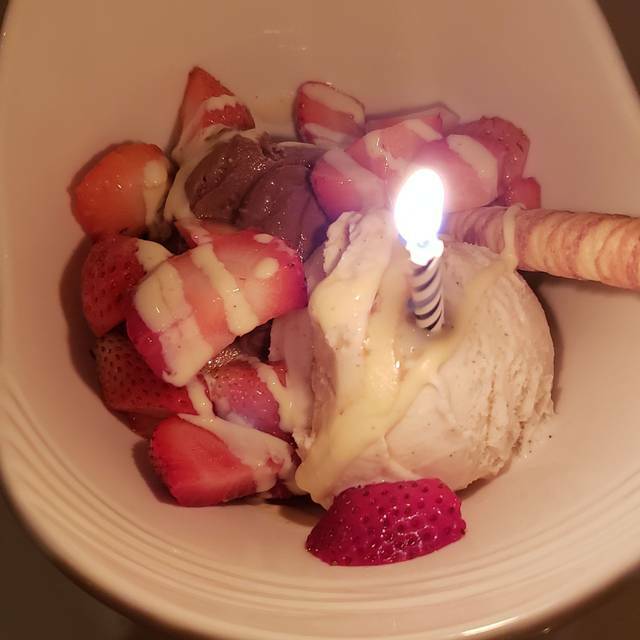 We come here every year for our birthday dinners and the Tavern did not disappoint! Food was amazing, service was amazing and drinks were awesome! Thank you again for a great experience! It was good. I wasn't disappointed with what I ate. Overall had a good time, but was not blown away by my experience. I knew that I was going to be spending a lot of money for a steak and was fine with that. It was good. Not blown away though. I have severe food allergies and my server and the kitchen were fabulous at dealing with them. I felt comfortable eating there and was able to enjoy my meal. Making the reservation was easy, the service went above and beyond and the food was exceptional. The Tavern is expensive, but definitely worth it for a special occasion. I very much enjoyed the ambiance and decor of the restaurant. One of the finest meals my wife snd I have had in years. For those who think they need to go to down town Chicago for beautiful ambience and outstanding food... think again! Highly recommend the tavern ! Wonderful dinner and service as always! Does not disappoint. We enjoyed a variety of choices. Service was excellent. A wonderful evening is a warm atmosphere of friendly service that was not rushed. Noise level a little high. The Tavern has an old school charm and feel to it that is almost unseen anymore. 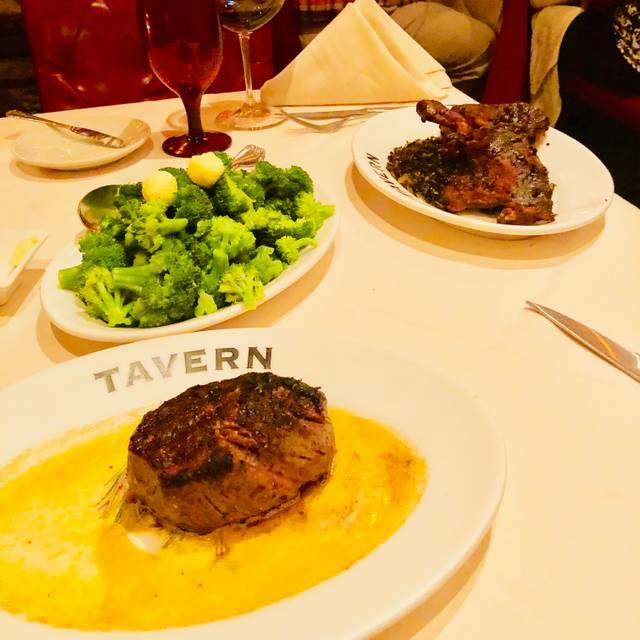 The attentive staff from host to server made Tavern feel like a traditional steakhouse; unabashedly serving delicious cuts of meat and decadent seafood quickly and efficiently but without making you feel rushed. The food - while pricey - was not overpriced. Given the quality of everything from the bread to the desert, this is an establishment that could mimic other steakhouses and charge more if they saw fit. Instead they provide exactly what the modern day consumer should want - amazing food in a throwback atmosphere at a fair price. 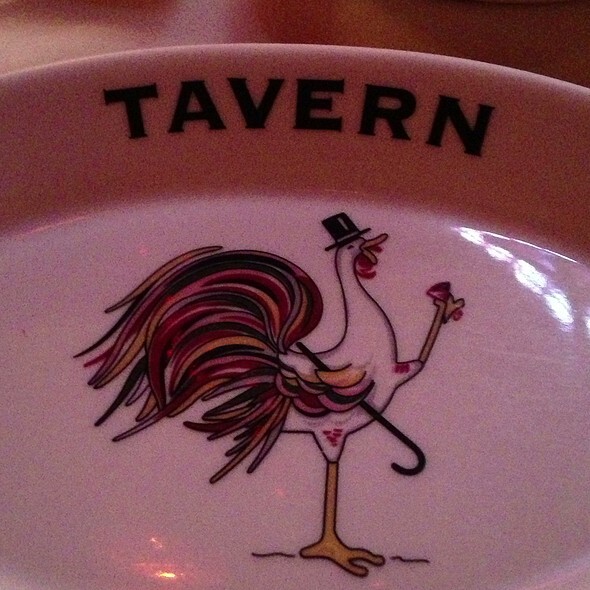 You don't see these kind of places around, and it's good to see that Tavern is confident in what is is - a local gem that gives you a nostalgic feeling of cigar smoke filled rooms, handmade cocktails, professional staff, and delicious food. Service was excellent, but the overall taste of the food was not on par for the prices. I've eaten at Ruth-Chris Steak house and the quality of the Tavern was not not at that level, however the prices were. Also, there was a couple that sat about 15 feet from our table and either they were divorced and trying to work out alimony cost or rehearsing for a torrid play named "Your f×cking crazy if you think I'm giving you a dime more". Im almost sure the staff could hear them. Since I work as a defence contractor, throttling this guy would have looked bad on future employment. Maybe this jerk made the experience seem like a waste of my time and money for an enjoyable event. Dunno, I live way south of Libertyville, and was only in the area for my daughters Naval boot camp graduation. Will not be in the area for any explainable reason, so I won't frequent there again. Either quality goes up or price comes down and you provide ruffies to jack wagon customer...hope you at least enjoyed the banter I have provided. Good luck! We went to The Tavern for a wedding anniversary dinner. We were seated in a smaller room across from the main dining room. It was actually quite nice. It was much quieter than the main room. Our server was very attentive. She could tell we were not in a hurry and paced the meal nicely. 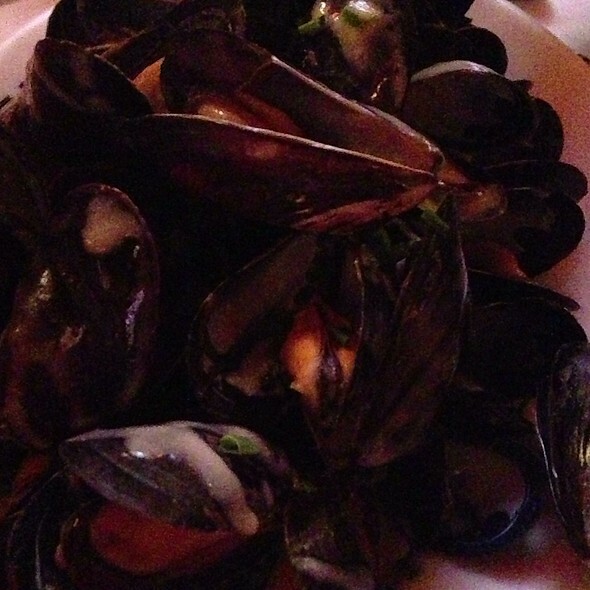 We started with the mussels which were very fresh. Salads were great as well. My wife ordered the Surf and Turf while I enjoyed a Filet. All was cooked perfectly. It was a fairly expensive dinner, but very well worth it for a special occasion. One last thing, if you like Gin & Tonics, try one here. The tonic is quite different, but tasty. Almost everything was perfect. Was seated few minutes before our reservation; food temperature was served exactly how it’s supposed to be; food tasted great; drinks were excellent; service was excellent with one exception that the server noted - took 10-15 minutes to determine if the carrot cake had raisins and coconut which my girlfriend does not like. Finally learned the cake does have raisins so she ordered gelato which was very good. Then without me saying anything the server on her own did not charge us for our desserts since we waited longer than normal for them. This was our first time at this restaurant and we enjoyed everything about it. Very eclectic and cozy interior. We had dinner upstairs and the service was the best I have had in a very long time. The staff was attentive and helpful and seemed to know when to stay away and when check in at all the right times. Overall, the food was good . We had the baked shrimp de jeonghe which was excellent (note, they bring the bread after you order so be sure to save it to go with your appetizer!). We had filet, lobster and New York Strip. The lobster was good. Unfortunately, the steaks were each a little over done but still tasty (we like well done). The side dishes were excellent. We will definitely come back and look forward to trying other dishes. The lounge also looks great for a few cocktails and apps. We got a gift card for Christmas and were so happy to go back. It has been a few years since we at upstairs but have been downstairs many times. Food is always good and the atmosphere is so calming. we of course will be back. My duck was dry and crem brûlée was watery... more like pudding. Steak was ok, nothing special however the service was outstanding! Also, our asparagus and after dinner coffee were great. Make sure you are seated in the main dining room if you want to experience the fun ambiance. We were seated in a smaller very quiet room ... not as fun for us. Overall, we just expected more given the price tag. Celebrated a 75th Birthday with family. Great food, great atmosphere, and attentive staff. Great as always for a fine dining experience in the fun town of Libertyville. Great execution in preparations of fish, steak and of course great service. Our go-to intimate fine dining place in the northern suburbs. Food was under par this time. Great place for special occasion or business dinner. Fabulous ambiance. On the expensive side for sure. The food, service and ambiance were superb! We've been going to Tavern for over 2 decades. Always consistent, always great service. We appreciate their extensive and fairly priced wine list not hitting triple mark ups as most downtown Chicago steakhouses do. Great evening!! We took our son here after his Navy RTC graduation. Everything was exceptional and the steaks....Awesome!! Great place, great food and great service!! Always great ambiance at the Tavern. The food was just ok this time. Delicious food and fabulous service! Great food and the ambiance was amazing. A perfect birthday date for my girlfriend. Food was perfect as always (rare filet, mussels, pate). Decor/ambiance is the coolest in town. We finished our Saturday evening 8:30 dinner reservation around 9:45 and our server was friendly but seemed very eager to get us to leave even though the table next to us just sat down. I ordered a cocktail but was never brought a water to go with it. Overall a very good experience, but the server seemed rushed/distracted. I have been going to the tavern for many many years!! The food is excellent and the staff are amazing !!! I’m a true foodie and put in the food business for over 32 years and The Tavern is without a doubt a Destiination stop and I must place to go if you want quality of food and service ! Excellent! Wonderful food, great service, perfect ambience. Our go-to place for a superlative experience! Great food, wonderful service, incredibly beautiful setting. Even comfortable chairs! We had a wonderful holiday and birthday celebration here. Great food and service! Five stars across the board if they had a few more kid friendly dinner choices. Terrific wine selection, my bone in ribeye was cooked perfectly = awesome! 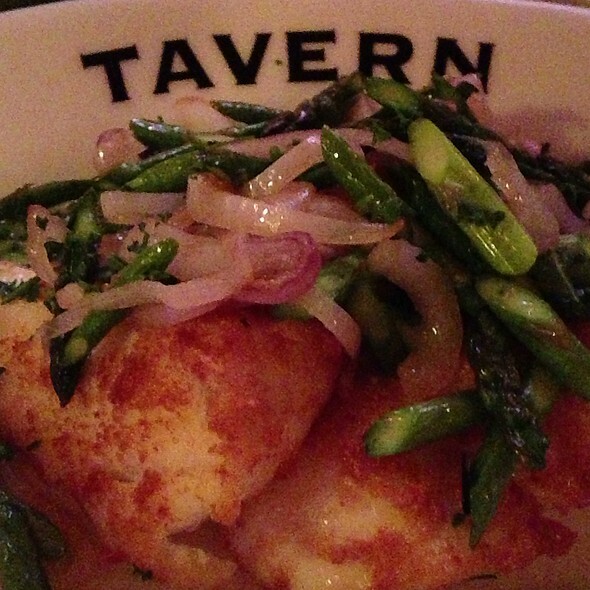 From the service to the food, The Tavern never misses a beat. 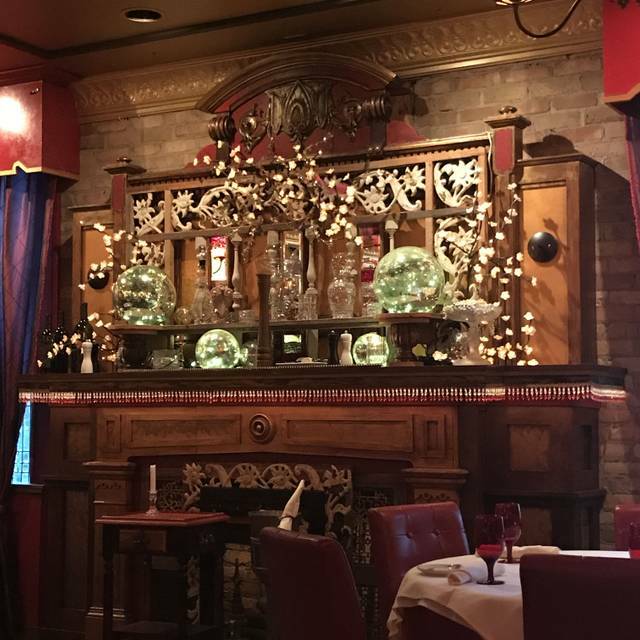 A lovely place for a special holiday dinner with friends. Be sure to try the filet!